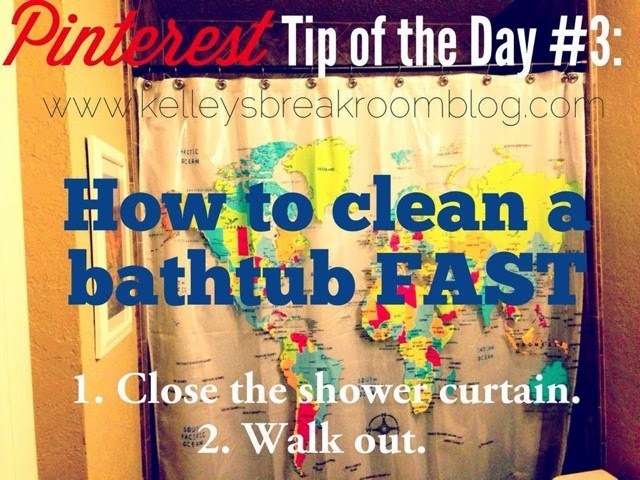 If you have been following the Kelley’s Break Room Facebook page, you may have seen my “Pinterest Tips of the Day”. 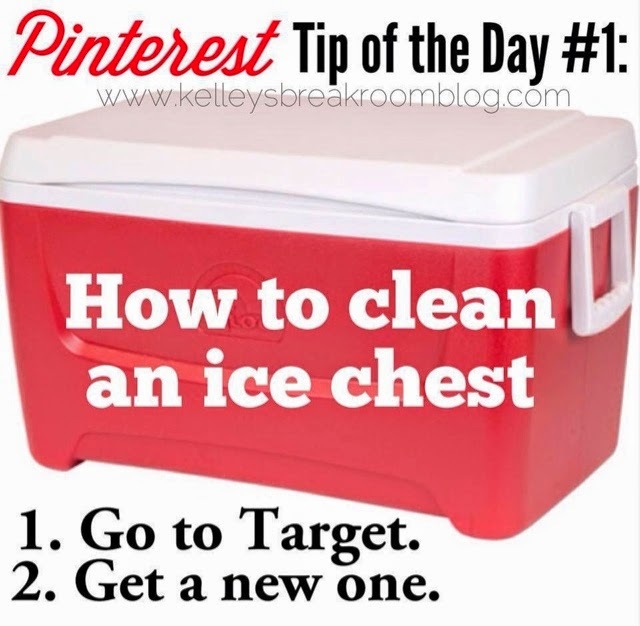 I initially made it without a picture but it got such a great response on my Facebook page that I decided to slap an ice chest (sometimes called a “cooler” in foreign parts of the world) on it. So, I made a new one along the same lines. Ilana Wiles of Mommy Shorts saw this one and asked if I would mind if she put it on her blog. I was obviously all for it, since she is the queen of memes, such as Baby Suiting. While I was making up new ones to send her way, I posted this one my Facebook page, too. 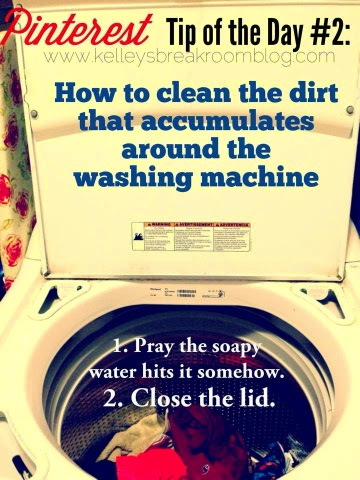 Isn’t this one the truth? I know how to use Meyer’s, Comet, Tilex and Fabuloso as well as the next person, but sometimes, friends, I straight up run out of time. 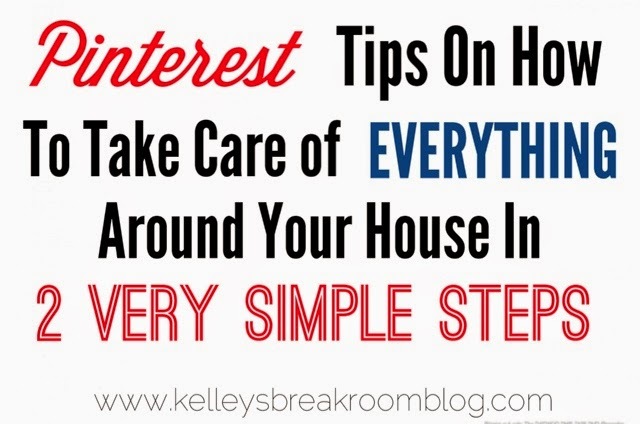 Head over to Mommy Shorts’ post, Housecleaning Tips For People Who Hate To Clean, featuring some more of my Pinterest in 2-steps graphics and follow along with me on my Facebook page for more of them in the coming weeks. I will keep them going until I run out of ideas or until Zuckerberg confiscates my phone.